Home / Asia’s wind power revolution – Boom or bust? Asia’s wind power revolution – Boom or bust? Asia Pacific countries have a raging appetite for wind power, but high costs and unattractive feed-in-tariffs mean that not all governments will be able to deliver. When Indonesia unveiled its very first wind farm in July 2018, the 75MW facility in Sulawesi instantly became an object of much fanfare and national pride. The Sidrap wind farm featured 30 towering turbines spread across a mountainous terrain measuring 100 hectares, capable of producing energy for over 70,000 households. It is the largest project of its kind in Southeast Asia, with a hefty investment cost of $150m. In a region where coal is still king, wind power may well be the unlikely contender that will topple thermal energy’s dominance for good. However, whilst development costs are dropping, Asian countries are grappling with practically non-existent infrastructure and patchy government support. What lies ahead for Asian wind, and can the region live up to its potential? Setting up a wind farm is no mean feat. The costs of launching a wind power project remain elevated compared to other renewable energy sources, as reflected by relatively low investor interest in wind across the region. The good news, though, is that prices have been on a steady decline for years. “Competitive auctions for new renewable energy capacity have forced developers, equipment providers, and financiers to bear down on all the different costs of establishing wind and solar projects,” said Seb Henbest, head of Europe, Middle East and Africa of Bloomberg New Energy Finance. “Thanks to this and to progressively more efficient technology, we are seeing record-low prices being set for wind and solar, and then those records being broken again and again on a regular basis. This is having a powerful effect – it is changing perceptions,” he added. In India, for example, data from Bloomberg reveals that benchmark levelised cost of electricity (LCOE) for onshore wind of just $39 per MWh, down 46% on a year ago, and for solar PV at $41, down 45%. By comparison, coal comes in at $68 per MWh, and combined-cycle gas at $93. Prices of wind-plus-battery and in India range from $34 to $208 per MWh depending on project characteristics, but the centre of those ranges is falling fast. As a result, both onshore and offshore wind farms are springing up across the region, with governments pledging more support for wind projects. In Vietnam, for instance, 12 onshore wind power projects have received licenses in the central province of Ninh Thuan, whilst 16 projects in all have been approved. These projects have a combined capacity of over 748MW and capital of $978m. “Both solar PV and onshore wind costs have decreased significantly in recent years in Southeast Asia, mirroring global trends, but they are still high in comparison to costs observed in the rest of Asia. Whilst the cost structures of project development vary from country-to-country, reductions can be achieved through a focus on enabling deployment policies, reducing the soft-costs associated with project development (e.g., licensing and permitting, grid connection, land acquisition), increasing efficiency of regional supply chains, improving local installation services, introducing risk mitigation products and unlocking less-costly capital,” noted Divyam Nagpal and Diala Hawila in a report for the International Renewable Energy Agency (IRENA). 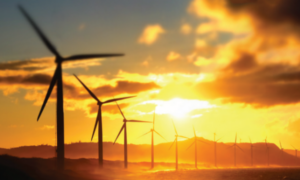 In the past, feed-in tariff (FiT) programmes ensuring power purchases and priority grid connections have encouraged wind project development in the Philippines, Thailand and Vietnam. There is currently almost 1GW of collective installed capacity in these countries, but development has slowed as governments have started considering shifting from FiTs to other schemes such as auctions. In the Philippines and Thailand, wind FiTs are no longer favoured by the national governments. “In the Philippines, the wind industry is waiting for the RPS to be announced in 2018, which is expected to reinvigorate renewable energy investment. FiT incentives remain in Indonesia and Vietnam, but in both cases, are perceived as unattractive by most international developers, due to either unfavourable tariff levels or insufficient PPA template,” the IRENA report warned. Olivier Duguet, CEO and co-founder of the Blue Circle, a renewable independent power producer based in Southeast Asia, noted that whilst the region has robust demand for wind energy, prices remain high in most countries. “Unfortunately, Southeast Asia or maybe India, is the last place on Earth where we’re still talking about opening new coal power stations. The rest of the world is shutting them down. Why is it so? Because of price, price, price,” he said, speaking to the Southeast Asia Globe. “If you look at wind power in the region the two main countries ahead of the other ones are Thailand and the Philippines for the moment. Vietnam is catching up very quickly, but the rest of the region has nothing. There is only one first project in Indonesia, which we jumped into this year, but otherwise nothing in the rest of Indonesia. Malaysia has nothing. Myanmar, nothing. In some cases it’s because of a lack of resources, for example in Malaysia there’s no wind, it’s not commercial wind I’d say. Indonesia, very difficult also, very low-resource. But Indochina, yes, there are definitely resources,” he added. IRENA notes that despite stated national targets for wind energy – ranging from an ambitious 2GW in Viet Nam and 1.5GW in Indonesia by 2025 to a modest 73MW in Lao PDR by 2025 – no country stands out as a thriving market, due to a dearth of long-term policy frameworks. Still, there are a few bright spots in the region: Vietnam has approximately 150MW of operational wind power and more than 1GW of additional supply in the pipeline, whilst Thailand saw an uptake of wind power investment in late-2017 when $1.14b was secured by one wind project developer to finance 450MW of onshore wind farms. “Looking forward, the realisation of the region’s large potential in wind energy will largely depend on strong national policies and programmes. As seen with the spike in investment that corresponded with FiTs, developers in the region will be poised to move forward rapidly as PPA templates are revised and improved, and in some countries, as auctions and competitive tendering are rolled out,” IRENA noted. Whilst Southeast Asian countries are struggling to set up onshore wind farms, East Asian countries have moved on to developing offshore wind projects. New research from Wood Mackenzie indicates Asia-Pacific’s offshore wind capacity will rise 20-fold to 43GW in 2027. Leading the charge in offshore wind growth is China, which is expected to see offshore wind capacity grow from 2GW last year to 31GW in the next decade. Next is Taiwan which will account for 20% or 8.7GW of offshore wind capacity by 2027, making it the largest offshore wind market in Asia-Pacific excluding China (APeC) by 2020. “Together with South Korea and Japan, East Asia needs around $37b in investments to meet the mammoth growth in offshore wind capacity over the next five years. Taiwan presents the biggest offshore market in APeC due to a relatively stable regulatory regime, a supportive government, and openness to foreign investment,” said Liew. In Japan, for instance, the two houses of the National Diet (Parliament) have passed a bill meant to promote the use of the country’s territorial waters for the development offshore renewable power generation facilities, which will be enforced next spring. Under the law, the Japanese government will identify approximately five offshore wind development areas and will launch the country’s first offshore wind tenders in spring or summer 2019. Successful bidders will be given the right to use the zones for a 30-year period. This marks a major change for the Japanese wind industry, which used to rely on feed-in-tariffs (FiTs) for the development of offshore projects. The Ministry of Economy, Trade and Industry (METI) introduced a specific FIT for offshore wind in 2014. The development of a tender-based system sends a strong signal that the Japanese government is committed to long-term investment in the sector. “We expect more activity in Japan and South Korea towards the end of the forecast period, as the local offshore supply chain in both markets will be well established and as the companies gain more experience,” Liew said. Key markets in Asia-Pacific have very ambitious government targets when it comes to offshore wind, but Liew notes that there is a slim chance that these targets will be met. India is by far the most ambitious of all, with the country aiming to establish 5GW of offshore wind power by 2022 and 30GW by 2030. “This is despite having no track record or existing offshore wind plants. The Indian government plans to achieve this by auction. But the target means that offshore wind prices will already have to be competitive with coal power,” Liew cautioned. “We are not expecting that all of these governments will achieve such targets. But it provides an indicator that offshore wind is being taken seriously enough, and national targets reflect that,” he added. In Japan, analysts warn that profitability remains a key issue. “Unless the government sets and guarantees a high purchase price under the FIT system, it is difficult for power generation companies to secure profits and recover stable costs. Thus, in Japan, wind power generation is not yet a cost-competitive power supply source,” said Jun Makita, senior researcher at the Institute of Energy Economics, Japan. “Besides generation cost, the risk burden of power generation is heavy, such as land use control and long-term environmental assessment. Moreover, the area with good wind conditions is limited and the annual average wind speed is low. It turns out that Japan has various problems geographically and structurally,” he added. Investments in new and larger offshore machines comparable to western turbines. This will take time as it will require more research and development, testing new demonstration units, and establishing developer buy-in. “Fortunately, the experience in Europe is that when such support systems are in place, growth will be exponential given the increasing competitiveness of offshore wind prices, and developers eager to take advantage of economies of scale, local suppliers and opportunities in new markets,” Liew noted.